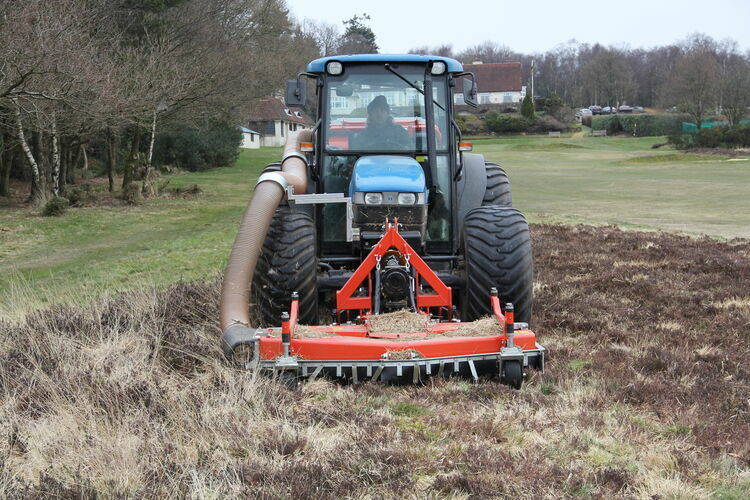 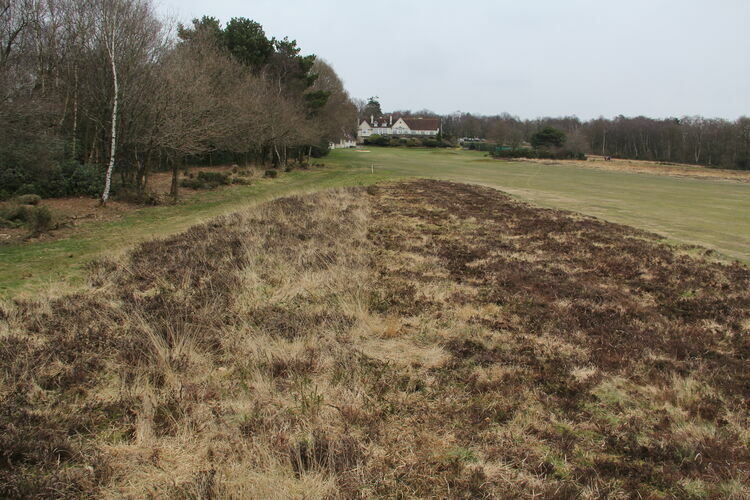 This machine was specially designed in conjunction with Course Managers at the finest heathland courses in Surrey who were seeking better standards of mowing and presentation whilst at the same time harvesting valuable heather seed for re-use, rather than it simply dropping onto the ground as has been the case throughout history. 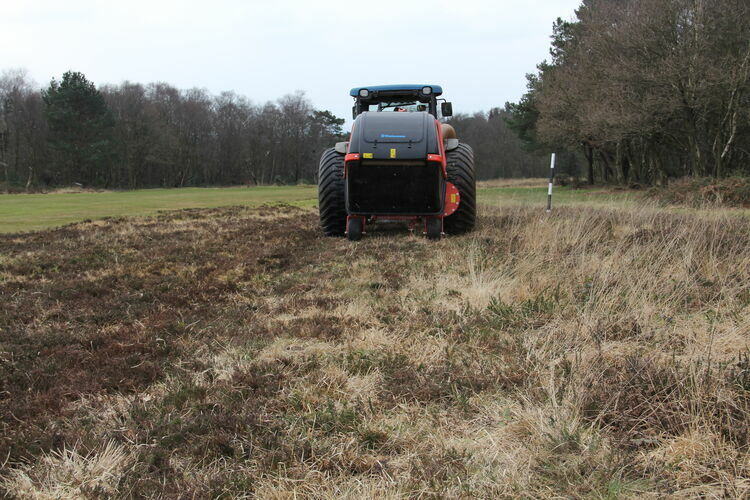 This machine represents a major step forward in heather care for golf courses, heritage sites and SSSI conservation areas with its new heather management system, the first in the UK. 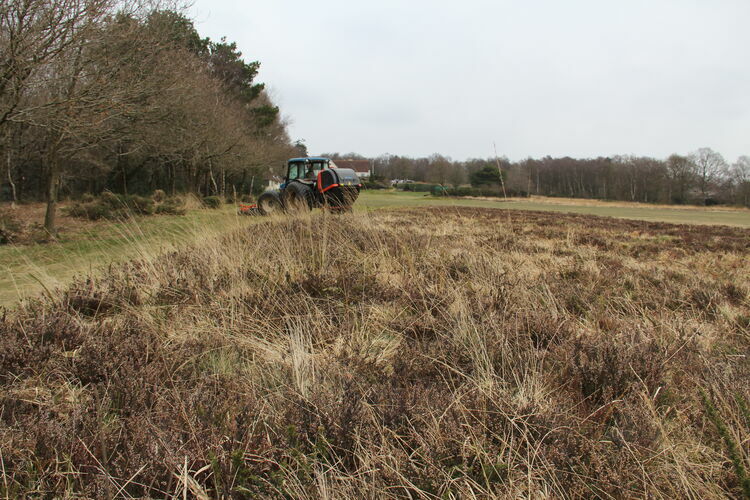 This enables cutting at multiple heights for either mature or youthful heather plants, that is much kinder to the heather as well as making it much easier, cheaper and cleaner to harvest heather seed than before. 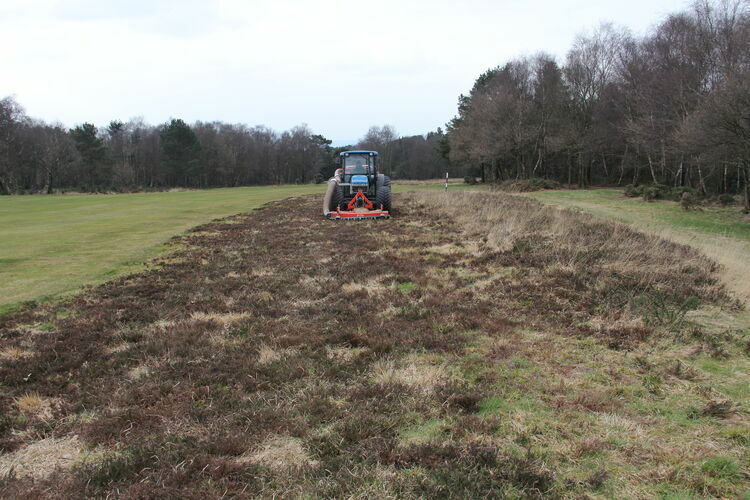 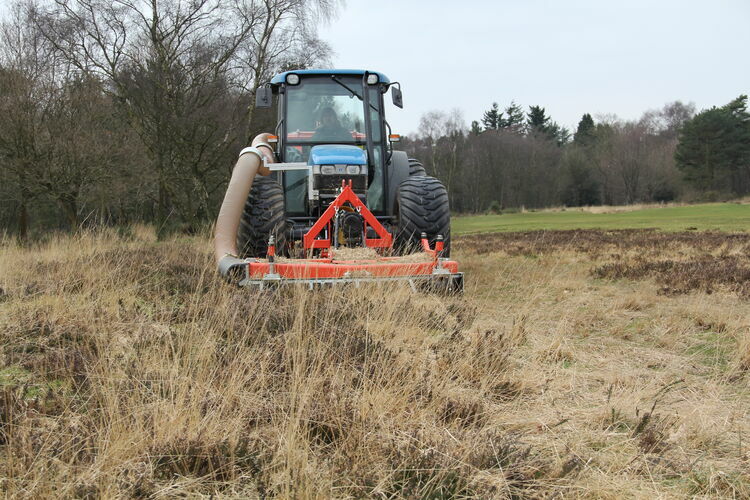 Instead of an old fashioned, traditional ‘flail mower’ which rips out heather plants, Wiedenmann’s system uses its advanced rotary mower specially adapted to cut grass at 200mm growing above the heather. 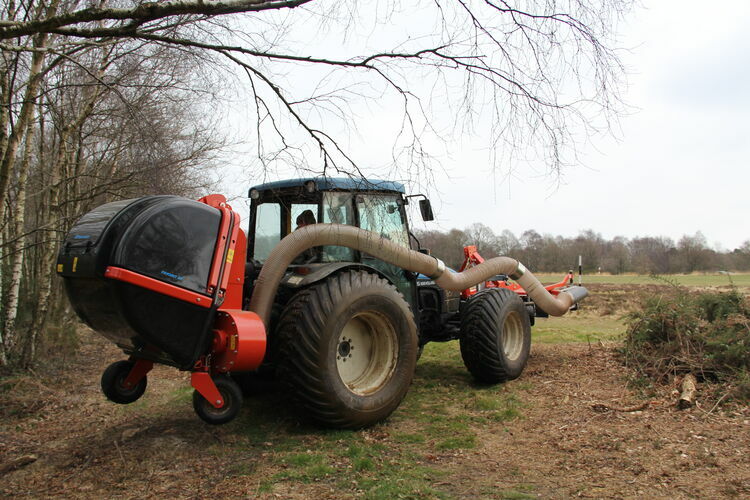 Debris is sucked away to a collector at the rear. 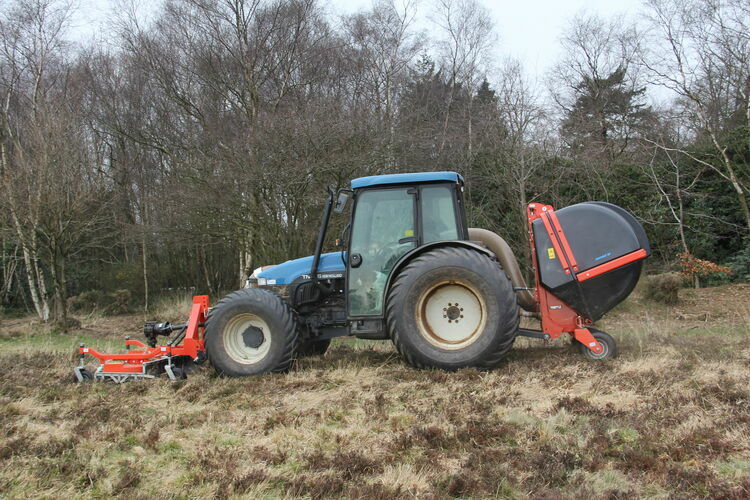 Once the seeds have ripened, the mower cuts off the heads and the seeds go into the collector. 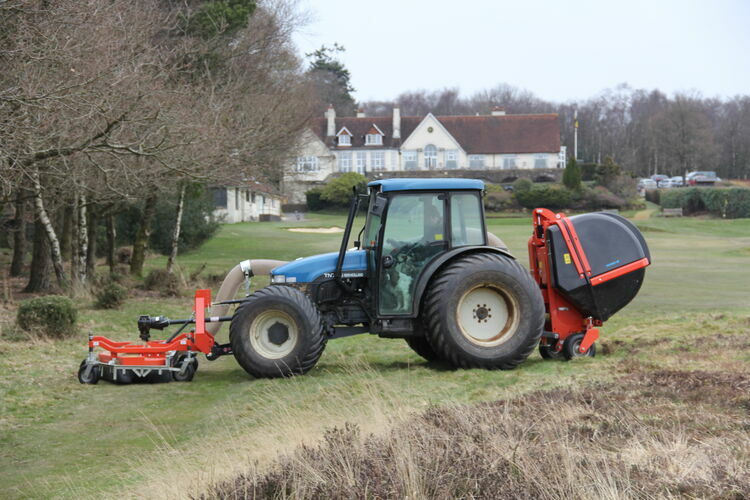 It takes only five minutes to lower the mower ready for normal cutting. 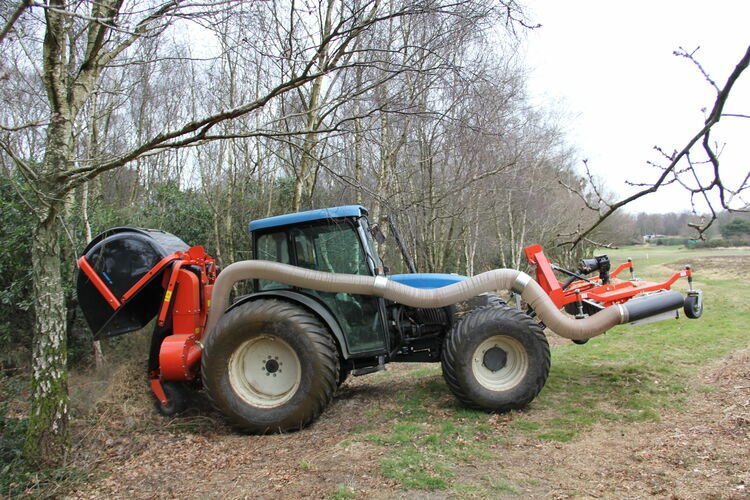 The connecting device kit comprises a long hose and brackets attach it to the tractor via a front linkage.